View from the top of Lookout Mt. I have some good news and some bad news. Let’s just go ahead and get the bad news out of the way: I still can’t run very far. Now to the good news: I can run a lot farther than I could last week! This week had some highs and lows when it came to training for the upcoming North Face Endurance 50k in less than 8 weeks. The biggest high came on Wednesday, when I forced myself to stop after 5 miles of some pretty good running. The leg pain, which had started the week before, wasn’t flaring up too much, and for the first time I wanted to keep pushing it. The lows came the next morning, when I woke up with a really sore leg, realizing that I might have pushed it too hard (at only 5 miles). This weekend KFB and I found ourselves in Black Mountain/Asheville, NC for my grandmother’s 90th birthday (hey Nana!). It was such a joy to see almost everyone from that side of the family. We enjoyed lots of food, plenty of drinks, and enough hearty laughter to make anyone’s birthday special. Nana is a remarkable woman, and it was a very special weekend. 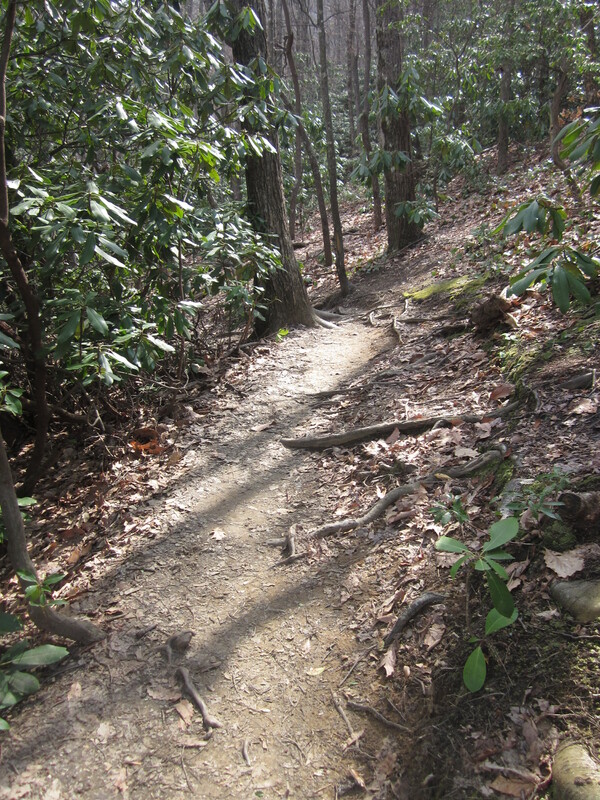 Being in NC meant that I was not only able to enjoy some Pisgah beer (post to come later this week), but I was able to enjoy a few of the pristine NC Mountain trails, including Montreat’s Lookout Trail. Monday – 4 miles After feeling good about the previous day’s bikeride, I thought I’d hit the pavement and go for an easy jog. It went pretty well, but I was glad I stopped when I did. Wednesday – Yoga + 5 miles After attending one of KFB’s evening yoga classes, I was feeling the itch and took off up 16th street. Feeling good, I kept going, making it 5 miles. This was a huge win for me, being my longest run in several days. Thursday – 0 RICE Ouch, that 5 miles did not feel good. Beer anyone? Friday – 0 Eight hours in the car down to North Carolina meant no time to run. I wish I would have gone out for a few miles to stretch the legs, but other plans got in the way. Saturday – 4.5 + hike Saturday was a great day in many respects. I started the day off with a 4.5 miles run, climbing up Lookout Mountain then tacking on a few miles along the Old Trestle Road trail. I then climbed up Lookout again with KFB, my sister, Jim, and Nathan. 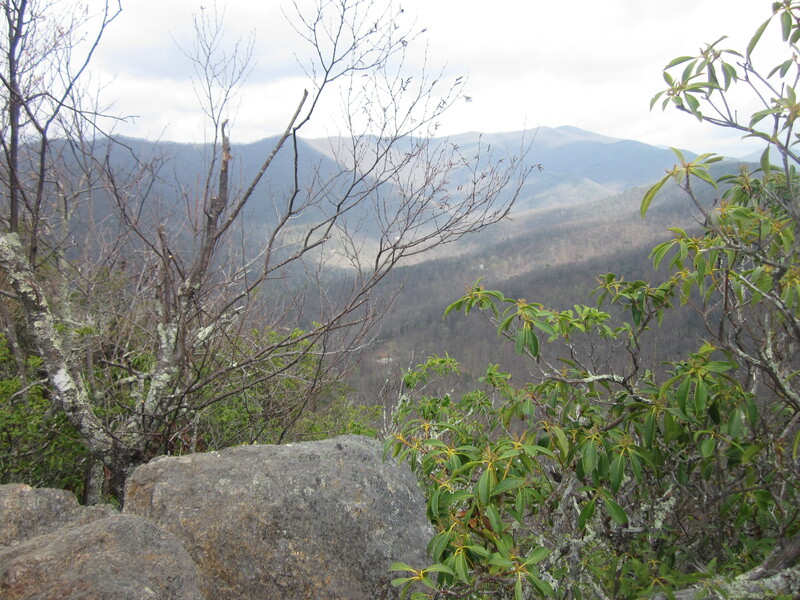 It is my favorite hike, partly because of the views, mostly because of the memories. Lookout Trail takes me home. Following a morning outdoors, the rest of the birthday celebration began. Sunday – 6 Miles After sitting in the car all day, I needed to move the legs. I went out for 4, but kept pushing through 6. It felt fine, but definitely not great. After about 5.5 I realized that 6 was as far as I could go. Total: 19.5 miles of running. Painfully few miles. Here’s hoping this week is better.